The same method applies for this radio. Holding buttons 1 & 6 together to start the code cycle. The ‘V’ serial will display towards the end of the cycle. If you do not see the serial try holding buttons 2 & 6 and look out for a serial starting with the letter ‘M’. If neither of these work please refer to method 2 below. 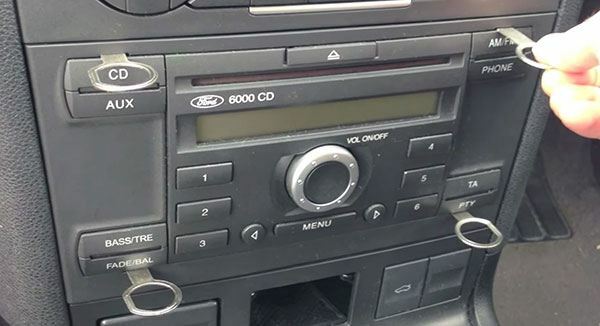 Step 1 – How To Take Out Your RadioIt is quite simple to remove your Ford radio. 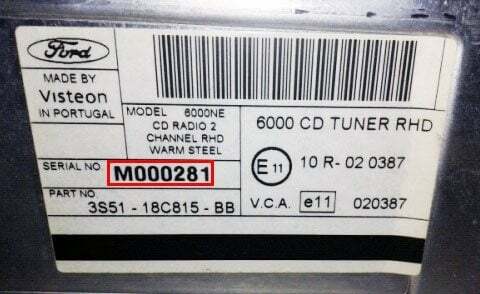 You will need a set of radio release keys (PC5-132). These are inexpensive and are around £3 – £5, you can obtain them from a local car audio shop or Halfords. 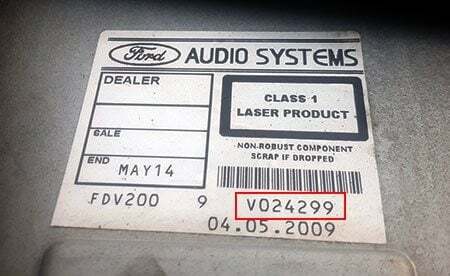 Step 2 – How To Find Your Ford Radio Serial.The Ford radio serial starts with V/M/BP/C7 for example V123456. 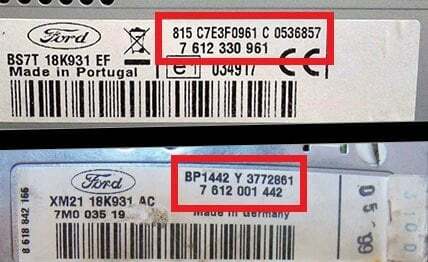 The TravelPilot models are a longer serial number. An example of this would be C73F0961 C 0536857. Please see images below for reference.